Looking for a unique birthday or wedding gift? Patchwork & Paint can stitch any saying, poem, scripture, etc. in your color choices! Simply contact us with what you would like on the stitchery, along with your color preferences. You may choose the border fabric color (if you would like a fabric border), as well as your frame color. Additional charges may apply if the saying is more than 4 lines. Click here to see some of the many custom stitcheries that we have made for other customers. 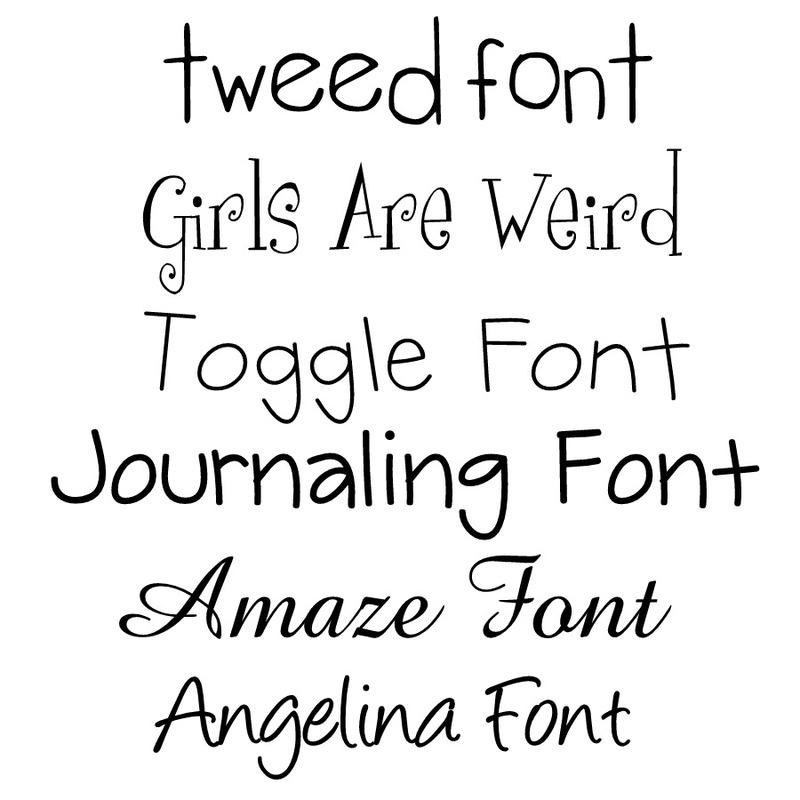 Click here to see some of our most popular font samples. See the samples below for custom wedding stitcheries! 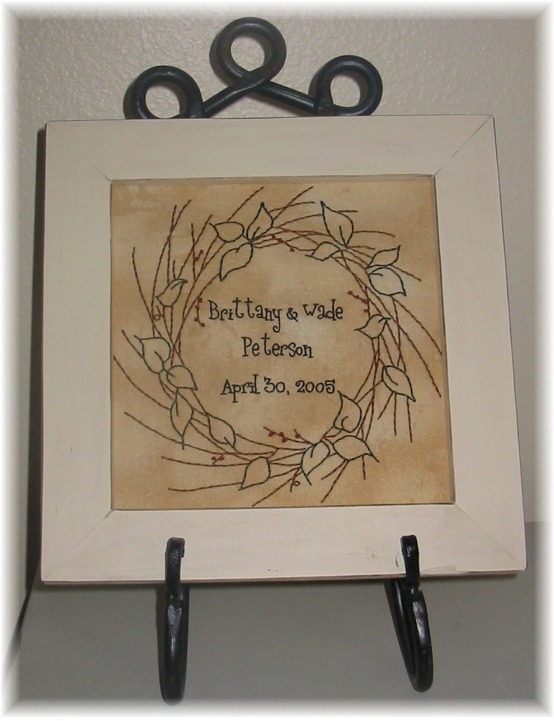 Beautiful custom stitchery with bride & groom's names and wedding date. Wonderful for a wedding or anniversary gift! Wreath design from Just Another Button Company. Antique white (cream) frame is slightly distressed and includes picture hanger on back. Need a different color frame? Please indicate red, hunter green, navy blue, or black with your order. Orders without color indication will include the cream frame. 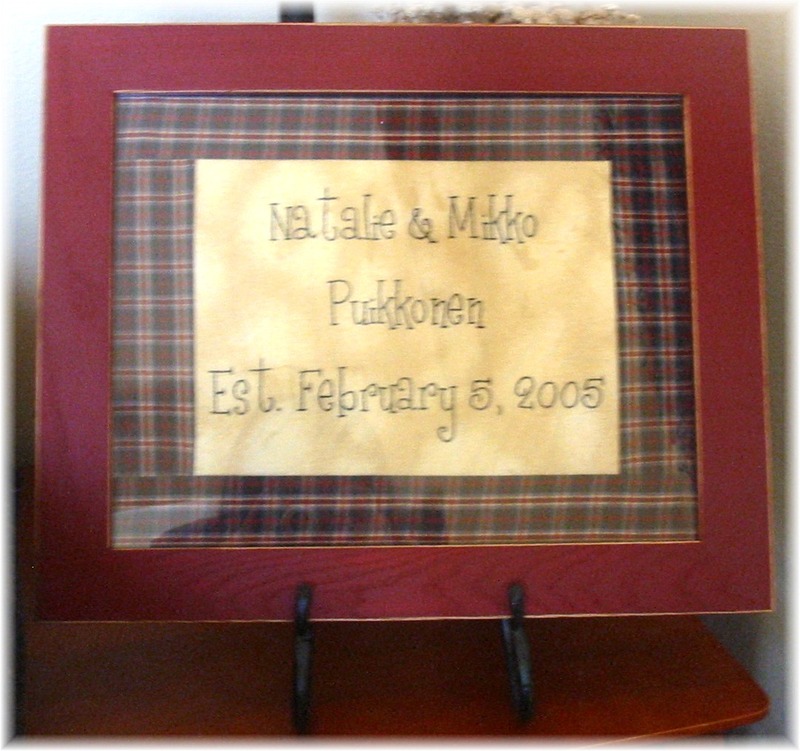 The item below is a simple wedding stitchery with first and last names, and then the date the wedding took place. Great for an upcoming wedding, or as an anniversary gift! You choose fabric colors and frame color! Sample below has Americana (burgundy/navy plaid) fabric with an 11 x 14 burgundy frame. Burgundy Plaid, Burgundy Check, Americana Plaid, Navy Plaid, Navy Check, Hunter Green Plaid, Hunter Green Check, & Tan/Burgundy Plaid. If you would like another color, please email us and we will do our best to accommodate your color choice. Burgundy, Navy Blue, Hunter Green, Black, Cream, & White. All frames are slightly distressed (light sanding on the edges) and include a picture hanger for easy hanging. *Please note: The sizes below are the size of the actual stitchery - with the frame the sizes will be 2" longer and wider. © 2002-2010 Patchwork & Paint - All rights reserved.